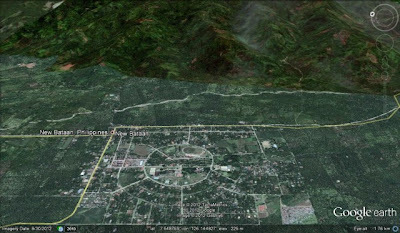 Compostela Valley, Philippines - President Benigno Aquino III on Friday visits Compostela Valley to check the situations of the greatly damaged New Bataan area, the ground zero of disaster. Typhoon Pablo with international name of "Bopha" leaves more than 500 dead and around 500 still missing victims of calamity, reports said. Pnoy gives 10,000 pesos aide for every families at New Bataan, Compostela Valley. This day alone, 10 bodies were pulled-out on mud piles of logs at New Bataan area. Rescuers and retrieval team continue to dig muds and debris to search for the missing bodies. According to reports, more than 310,000 people have lost their homes on the fierce effect of Typhoon Pablo on Tuesday. Survivors found the covered court of New Bataan for their shelter. The court is among the few structures that stood still after the typhoon. DSWD Secretary Corazon Soliman said that the government is now appealing for immediate international aide for food, tents and medicine requirements of Southern Philippines. President Aquino confirm that State of Calamity will be released on Compostela Valley and Davao Oriental, two of the major provinces that Typhoon Pablo strucked. Pnoy said that he wants to find out why this tragedy happened and how to keep these tragedies from happening again. Government will investigate for the major cause of disaster such as illegal logging. Pnoy strongly said on media that he is not satisfied for the results of campaign before the big tragedy. 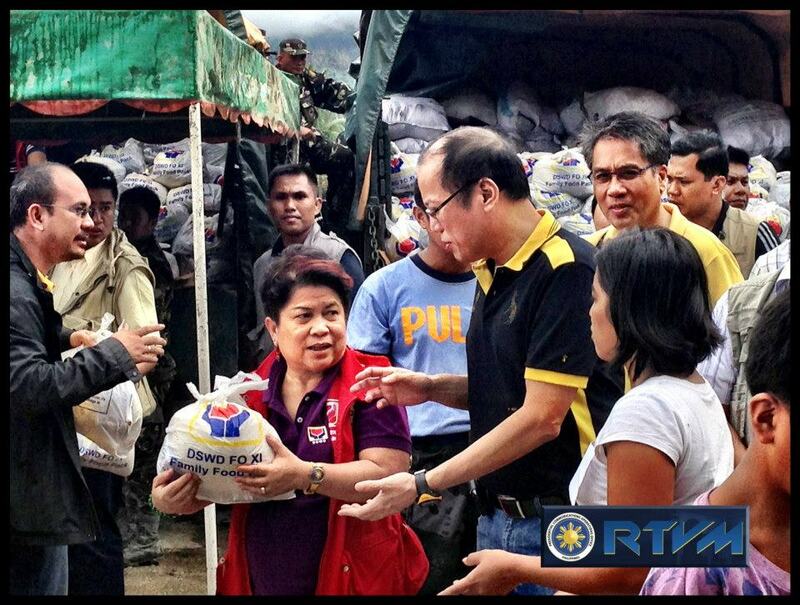 "We need to ensure there are no casualties everytime there is a disaster", Pnoy said. Mar Roxas, DILG Secretary insists the preparations done of government ahead of Typhoon Bopha entry in Philippine Area of Responsibility (PAR). 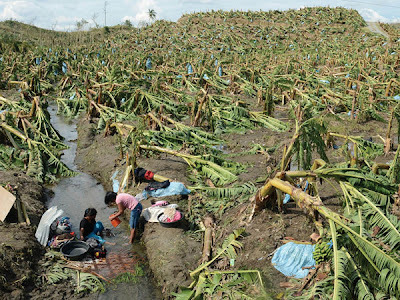 National Disaster Response Coordination Centre (NDRCC) said that total losses to Agriculture due to Typhoon Pablo has a total of P3.37 billion pesos. For Compostela Valley alone, around P3.5 billion damage in crops was estimated. Compostela Valley banana plantations were wiped-out.